The Tasty what? Yes, the Tasty Weasel. 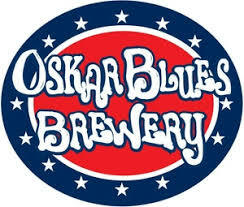 Its the most-excellent name for Oskar Blues’s taproom. The brewery outgrew their first taproom in Lyons and opened this second location in 2008. Come get a firsthand look at the canning operation line (Oskar Blues was the first craft brewery to can their own beers) and try some unique collaborations and experimental brews you cannot sample anywhere else. The Weasel (as locals call it) regularly hosts live music, has ample elevated patio space, is both dog and kid friendly and host yoga Saturday mornings before hours. In addition to award-winning beers, Oskar Blues puts on a party every summer (adventure sports, beer festival, concert) in Lyons called Burning Can. They also have a similar event at their location in Asheville, North Carolina. They are also known for the G’Knight Ride, their annual brewery tour/bike ride throughout Longmont. The proceeds from their events support their charity CAN’d Aid Foundation which has raised more than $2.5 million to support “do-goodery” efforts (including disaster relief efforts, bike programs for kids, music education support and grassroots recycling programs). Pro-Tip: Tasty Weasel keeps the thirst flowing by offering free barrels of peanuts throughout the taproom. If you have an allergy, you might want to skip this one and just grab cans to go from the fridge inside.